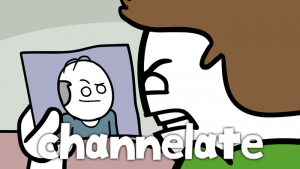 Check out THIS WEEK’S SHORT, based on THIS COMIC! 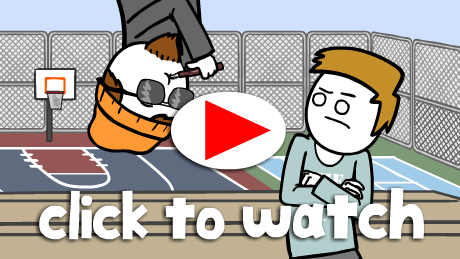 Hey we posted a new animation last week on YouTube. Click the image to watch! 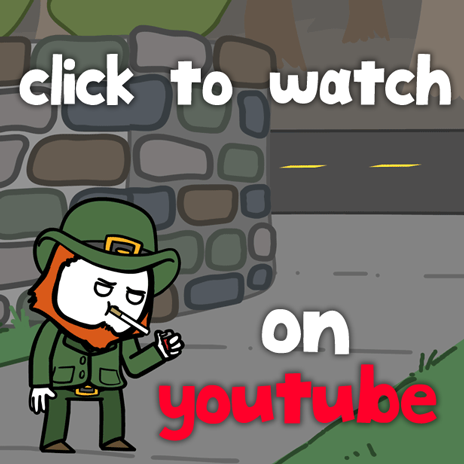 Listen to me botch an Irish accent in a high pitched voice! Also, big thanks to Dave McElfatrick of Cyanide and Happiness for lending his ACTUAL Irish accent to the role of a bartender. Enjooooy, ya rioght cooonts! INTERVIEW! Conversations With a Webcomic Artist. Heya, dudes! Last week I had the honor of being the 4th guest on the new podcast, Conversations With a Webcomic Artist. I’m looking forward to following the show. There aren’t a ton of interviews of webcartoonists out there, so Bob is filling a void I’d love to see filled. I had a great time on the show and I hope you dig it.